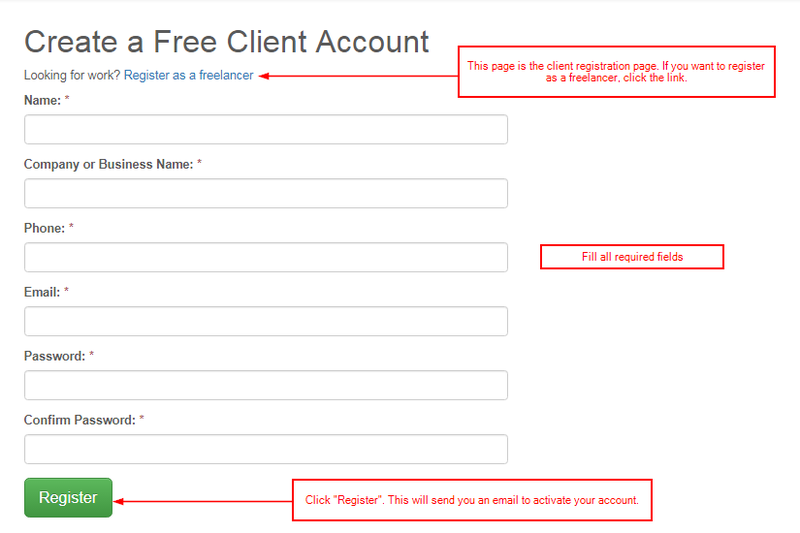 If you have registered as a client, you can find freelancers and upload projects. 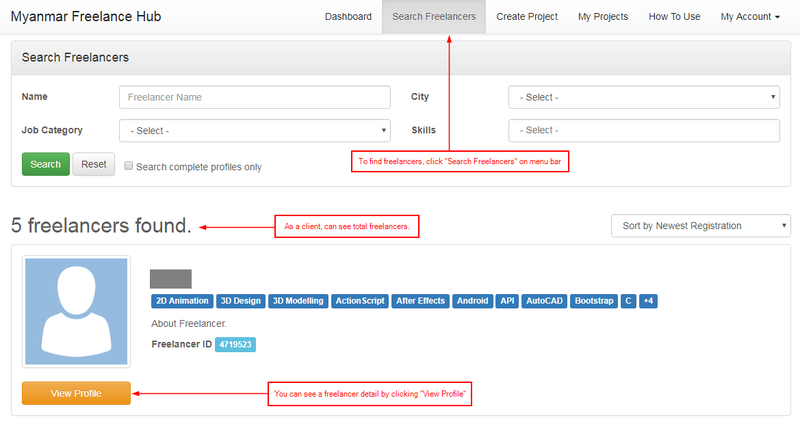 You can see freelancer and choice freelancers in the following freelancer's list. 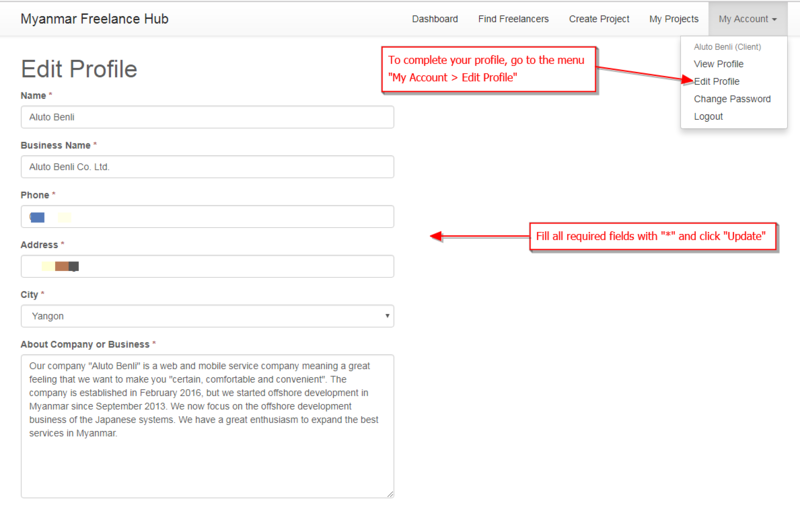 Go to the menu "Sign Up"
Click the blue button "Register to hire". If you want to register or sign in using Facebook, click the link "Are you looking for Facebook login? Please click here" or the menu "Login". After clicking the "Register" button, an email will be sent to you to activate your account. Check your mail inbox and click the link provided in the mail. If you couldn’t find the mail, we recommend checking your spam box or contact to freelancehub@aluto-benli.com. Note: If you use Facebook login, you will not receive mail and you don’t need to activate your account. Go to the menu "My Account" > "Edit Profile". Enter your address, city, about and profile picture. Although profile picture is optional, it is recommended to set up. 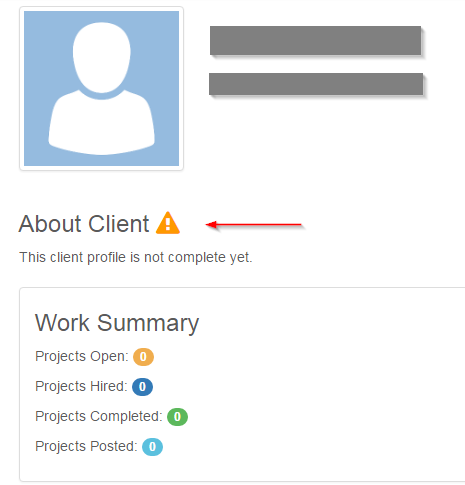 Note: If you don’t complete your profile, freelancers will see your profile with a warning "This client profile is not complete yet". Register as client for complete user guide.